Established in 2001, Pokerstars is one of the largest online poker rooms at asianpt.com. In fact, it's close to 8 times bigger than its closest competitor in terms of traffic. As the largest online poker room, Pokerstars provides the largest tournament and cash game selection, allowing you to find action on any poker game, regardless of the table or tournament level. The site further impresses with outstanding promotions, one of the best VIP programs in existence, reliable software, and a fantastic selection of games. In our Pokerstars review, we list the best and worst qualities of Pokerstars, take a look at the most popular bonuses and promotions currently on offer, walk you through the wide range of tournaments and freeroll poker tournaments you'll encounter while playing at Pokerstars, evaluate the software and graphics, take an in-depth look at the game selection, provide the most popular banking methods, and complete our review by assessing the customer support provided by this top-rated online poker room. At Pokerstars, you can choose between two welcome offers, including a 100% match bonus up to a maximum of $600 or a $30 Free Play bonus on your initial deposit of at least $20. The 100% match bonus can be claimed when you use the bonus code: STAR600 and you can make up to 3 qualifying deposits to claim the 100% welcome offer. You will have a total of 60 days to accumulate the required redemption points to claim the full welcome bonus. If you are going to deposit less than $30 on your initial deposit, and enjoy Spin & Go tournaments, then we suggest going with the $30 Free Play bonus as an alternative to the 100% welcome offer. The $30 Free Play promotion will give you a total of 20 x $1 Spin & Go tickets over six days as well as $10 in cash bonuses when you make a minimum deposit of $20 and use the bonus code: THIRTY prior to your deposit. Apart from the two welcome offers at Pokerstars, you will also be treated to an arsenal of exciting promotions and enjoy additional perks and cash rewards with the most prestigious VIP program in the world. With 7 different levels, you can look forward to sensational perks ranging from free entries into some of the biggest events to additional bonuses and FPP multipliers. Pokerstars is home to dozens of freeroll poker tournaments that populate every hour on almost every single game you can think of. Not only will you find tournaments on a wide range of games, but the prize pools and buy-ins to these tournaments are extremely well spread. Buy-in's start at a mere $0.11 and peaks at $1,050. Weekends are even more exciting with additional tournaments available with even bigger prize pools. The flagship tournament at Pokerstars is the Sunday Million with a buy-in of $215 and a guaranteed $1 million up for grabs. There's also an assortment of other freeroll poker tournaments that produce a guaranteed prize pool of over $100,000. Apart from multi-table tournaments, players can also enjoy an excellent selection of Sit & Go tournaments, plenty of freeroll tournaments, and Hyper-turbos that are significantly faster that your standard Sit & Go tournaments. You will also be introduced to zoom tables on games like 5 Card Draw, Omaha, and Texas Hold'em on limits of up to $50/$100. Zoom tables will allow you to move to a brand-new table immediately after your hand is completed. 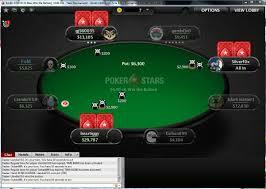 The software offered by Pokerstars is both easy to understand and extremely intuitive. The overall graphics are vibrant and crisp, and both PC and Mac formats are fully supported. 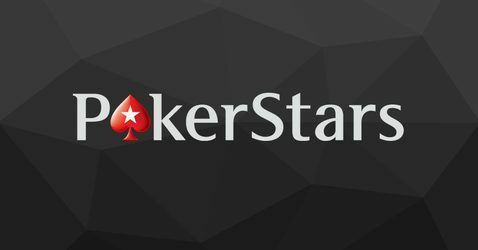 Since players are building a preference to mobile gaming, Pokerstars has also introduced a downloadable poker app which is available on both Android and iOS devices. The mobile app is just as solid as the desktop counterpart, but the overall game selection is still rather limited. As the biggest online poker room in the world, you will find any poker game you can imagine. In addition to the popular Texas Hold'em poker variant, you will also discover other games at any limit, including Badugi, Courchevel, Five Card Omaha, 5 Card Draw, Caribbean Stud, 2-7 Singe Draw, Triple Stud, Razz, 7 Card Stud Hi-Lo, 7 Card Stud, Omaha Hi-Lo, and Omaha. There is also a fantastic variety of online satellite poker tournaments available at Pokerstars and most games are offered in 9, 6, and 2 seat variations, while Stud games have a maximum allocation of 8 seats. Pokerstars is home to a comprehensive range of banking options for both deposits and withdrawals. You can choose from a variety of popular e-wallets, pre-paid cards, credit/debit cards, bank transfers, cryptocurrencies, cheque, and wire transfers. Most banking options are country specific, so you won't find the same options available across the globe. Withdrawals are also processed in record time, allowing you to receive your winnings within 48 hours when using an e-wallet and up to 4 days when using a credit card option. The only weakness that can be found at Pokerstars is through their customer support. Although they offer support around the clock, you won't be able to chat to a Pokerstars representative via a live chat facility or give them a quick call to resolve an urgent request. You will only be able to send them an email or use their innovative FAQ section to answer all your questions.